If you don’t understand how Your Blog Is A Sales Funnel, you are making a big blogging mistake. Savvy bloggers design their blogs to act as a sales funnel. We’ll talk about that in a bit. First, though, let’s put this discussion into the context of how most bloggers get this wrong. You see, a sales funnel is simply a strategy for drawing people into your business. It’s function is to help you monetize your blog. One of the biggest mistakes that bloggers make is failing to monetize their blogs the right way. In fact, it is common for newbies and even pro bloggers to gravitate to one of two extremes. On the one hand, they do practically nothing but sell things all the time. On the other hand, they don’t make any effort at all to sell or promote anything. Are you guilty of making one of these two mistakes? This blogger just wants to start making money. He or she is not interested in educating or informing readers about anything other than how to click and buy. Sometimes the pushy sales blogger is desperate to make money to pay bills or quit her job or some other reason. This blogger might be trying to get people to join a business opportunity or buy some affiliate products. There’s nothing wrong with selling things on your blog, but the pushy sales blogger turns her blog into one big advertising space. The pushy blogger appears to be desperate to make a sale because she probably is. Her blog is not informative or interesting in any way for visitors, so they’re not likely to be back any time soon. At the other end of the spectrum is what I call the “value-only” blogger. This blogger is often afraid to sell, and does everything possible to avoid making a pitch. The value-only blogger wants to make money. But she doesn’t want to appear like she does. Somewhere along the line, she’s probably heard that good bloggers give 100% value all the time. So she tries to write every blog post to teach her readers something, or brand herself as an authority or expert. She believes that somehow, all that value and branding will magically lead to profits. Yet, she does nothing at all to try to make sales. Maybe she’s building an email list, but she treats her email list the same way, repeating the same mistake. Day after day she sends value-only in the form of “tips,” “how to” information or maybe an entertaining story. If she ever does try to sell something, it seems so disconnected to everything else she’s been doing with her “value-only” style, that people don’t even pay attention. Your blog is not a series of advertisements. But it’s also not an educational manual. Your blog is a sales funnel… or at least, it ought to be if you are interested in using it to build a business. A sales funnel is simply an entry into your business. You need to write valuable content that will attract people to your blog. The value you offer people will bring them into your sales funnel. That’s the main function of each article you write when you’re doing this right. You aren’t in business to just give people valuable information and nothing else. Your articles should be written in ways that help people make smart buying choices. The deeper they go into your funnel, the more they should encounter opportunities to buy things that will help them solve their problems. That’s your job as a blogger. Your dentist may offer you a great water pic to help you improve your oral health. He/she may then recommend that you undergo a procedure to avoid other problems. That’s what a sales funnel looks like. You need to offer your readers things that will help them overcome their challenges that are unique to your niche. It’s not just about sales, though. The same dentist selling you a water pic, is also giving you valuable treatment in the form of a root canal or a tooth implant. You don’t visit your dentist just to learn about all the great dental aides or services you could be buying. You go to the dentist primarily to get great dental treatment… that’s the value you seek. As a blogger, you need to give people the value they are looking for in terms of information, training or perspective. As you do, you need to also make it your business to introduce them to those products and services that can make it easier for them to implement that valuable information. Your blog is a sales funnel when you are balancing the two extremes that I’ve described as the pushy salesman approach vs the value-only blogger. I’d like to hear about your blog. 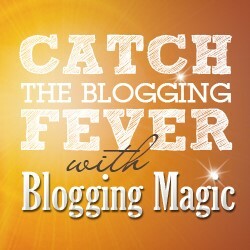 Are you a pushy sales blogger? Are you a value-only blogger? Or have you avoided making the mistake of those two extremes? Is your blog a sales funnel? I look forward to your comments below, and appreciate you sharing this article on your social sites. Should I Quit Blogging Or Should I Stay? I love the way you expertly describe the two extreme approaches to blogging Donna! And it does seem like, the “value provider” type of bloggers, more times than not, seem to have some type of phobia, with regards to attempting to monetize their efforts! by providing tons of value their traffic or email subscribers, will just magically convert into buying customers, and eventually repeat customers! alternative Coach!And a real alternative! That “value provider” is a great person, but they need to monetize or else they will probably give up all together and it is a darn shame to see them go. That was a great post very insightful and really informative. And I understand what you mean you don’t have to be the over the top sales person. Or you don’t have to be the very timid sales person giving everything away so much that you bring in no income. Indeed, balance is so important for your business model and success. We can’t be too shy nor too pushy. The perfect balance will win all the time. Very sorry for being not active at your awesome blog! Muhammad Ahmad recently posted..How to write Affiliate Product Reviews – The simplest Guide! Don’t feel bad..I’m running late myself lol. But here we are and that is what is important. So good to know you enjoyed this post. Crazy Summer Fun…I missed one of your posts too lol. Indeed, whenever you are writing anything….think of your sales funnel and how it can connect to it in some way. Good Morning Donna, Wowsy not sure how I missed this post my friend! It is power packed with some awesome information! I do visit quite a few blogs each week and after reading this post I can now see the difference between but the Pushy sales blogger and the Value-only Blogger! I do need to be pay more attention to my saled funnel when writing my posts. What a great lesson here today. Finding that mix is tough at first, then easier and easier. By embracing your money fears/limiting beliefs. It’s almost like, when you face your money anxieties and feel them, you’ll be somewhere between John Chow and Leo Babauta at Zen Habits. John pushes the hard sell regularly, shares some value and rakes it in. Leo has maybe the most minimalist, non-sell, non-commercial blog online, and has a 200,000 subscriber list, writes best sellers and has made a handsome living online. You can get clear on either approach and make some dough but for most bloggers, being in the middle – sharing helpful, free value, and premium products and services – is where the full time income lies. You do a fine job in this regard. I never feel like you’re selling anything for money. Even though you are. Which is a sensational way to build your business. Almost all of my financial breakthroughs occur after embracing, experiencing and releasing my money limiting beliefs. Then I know how to set up a sales funnel thru my blog, giving away free, helpful content and premium, helpful products, that my readers are aware of. You put it so nicely in this comment. There is a balance we all need. If we sell too much, might as well have an eCom site. If we just spend our time giving value, then we might as well have a journal. This blog is part of my business. The people who come here and become my blogging buddies are wonderful. But then there is a huge readership who won’t comment at all. That’s fine with me. Most of the time this blog is there for those who have seen a sales letter of mine, come over to see who the heck I am and either opt in or not. It is easy as that. Giving to others is great but we do need to monetize. Donna Merrill recently posted..Should I Quit Blogging Or Should I Stay? You are right that there has to be a balance. Sometimes we want to provide so much information to make a difference and help our audience. However as you shared, there is a way to help your audience and still have a business online. You shared this tip so beautifully. Lazy is ok lol. When we have been at this for a while, it is ok to kick back now and then. Sometimes it is even a good thing as we get some new ideas rolling around our heads. It’s true that it’s hard to find a balance between self-promotional posts and informative ones. I can’t speak for others, but my firm suggests to clients that they use their blogs to collect subscribers, instead of trying to directly convert. You can have informative and useful blog posts that don’t try to sell anything, and then collect their emails. You can do all the selling you want in the newsletters you send them afterwards. Having said that, I’m not sure if this approach makes the blog a sales funnel? It sure does…. I have opt-ins here for those who want to join my email, get some free stuff and then purchase things I do offer here and there on my list. It is part of my sales funnel. However, I don’t only rely on marketing here on my blog, there are so many other ways to do so. seeing a blog as a sales funnel is a good Idea. on how to write the posts. But after you write it all, think about how you can monetize it. Even if it is something at the end that says “have a good day and don’t forget to ……..give the call to action for your readers to have a choice of opting into what you want to sell. Another great piece from you, I agreed with that quote that ‘One of the biggest mistakes that bloggers make is failing to monetize their blogs the right way. You need to give your readers the content that solves their problems. One of the most important points is this, If your blog is not enough of problem-solving then no matter what you do, the result will be nil. You are right on target! I’ve seen too many blogs that do a good review on things, but that is it! There is no value other than that. We need to give our readers valuable information…we drip feed it to them little at a time so they won’t be overwhelmed. Then when we want to offer something, they already know like and trust us, so they have a chance to buy. Hey Donna, Nice to meet you. Love quotes ” articles should be written in such a ways that help people make smart buying choices.” Thanks for making understand me that ” blog as a sales funnel”. Blog provides many ways to make money and depends on us that how and which ways we can make money? To add the ads on blog requires the valuable and effective blog. Also having the proper knowledge about monetizing plays vital role to make money from blog. Blog should be in such a way that it offer people better buying choice. Indeed, your blog can provide many different ways to monetize. As long as you are doing it correctly and giving people good content it can work. We do have to give people a buying choice, but keep in mind that people buy people. If product X comes out and a million people are affiliating it because it IS really good, how can you as a blogger stand out? It takes a lot of communication with others and reciprocity in order to engage with others. This is why we always give value to others in our blog posts. Thanks so much for this valuable lesson – the sentence that just leapt off the page to me as the best way to use a blog as a sales funnel is “Help people make smart buying choices”. I did have one “value only blog” (in the health niche). Then I learned about monetizing and plastered it all over with banner ads 🙂 Neither approach worked, you won’t be surprised to hear. I junked it in desperation a few years ago, to concentrate on learning Internet Marketing properly and to record my highs on lows on a different blog. I hope that recording my thoughts and mistakes on my blog helps people make better buying choices, and I shall certainly continue in that vein because it’s something I can relate to. No that doesn’t surprise me at all, especially the one with ads plastered all over it lol. I am glad you changed it all up. Sharing your thoughts and mistakes will surely help others to make better buying choices. Very well said. I have to admit that back in the days my blog was too much value and not enough of a sales funnel at all, but the perfect balance between sounding like a billboard and only giving things for free is to use our blog as a sales funnel as you so well explained here. I have been following your adventures and being in Rome is amazing. You are bringing back memories of when I was there. There is so much to absorb from art to food one can get lost just being in that moment. I often think of you and how you became a traveller while doing your business online. What a great adventure you created for yourself. Take care and have fun while you are working. This is the exact struggle and dilemma we freelance writers are in. We want our blogs to be of value to prove how we write and that we can write. We want to be ‘authorities’ others want to work with. We have no real product to sell, not even a consulting service. If the blog is not a blog about freelance writing, we sometimes forget to mention that we are one. And that we are for hire. My freelance writer business is going well, but I’ve no idea how much of this I owe to my blog. Being a freelance writer is great and a wonderful way to “strut your stuff” on a blog post. But one always has to remember to mention that “I’m a writer” Now that can be done in many cleaver ways. That is one example. But you do provide a service and need to shout it out on each and every post. Mentioning what you do is not pushy. I think it depends on the blog. I have one blog that started solely as a value-only blog. I blogged about our travels in the world and I also added information that I researched prior to visiting. The thing is, it really did start out as a place for me to keep my notes and keep our family up to date. It caught on really well and five years later, with a steady stream of targeted traffic, I’ve turned it into a sales funnel, promoting car rentals and hotel bookings. I think it’s ok to have more than one phase to the life of a blog. I do absolutely agree with you that being too pushy or avoiding monetizing altogether forever – both are not a good choices for bloggers. Every blogger needs to find their point of balance somewhere in between. You said it when you wrote that every blogger needs to find their point of balance. It may take some time to do that, but it is always worth the effort. Bloggers morph in many ways. If we are too rigid…then just put up an e-com site. But on the other hand if we are giving good content, then we need to understand that every visitor is a potential buyer. There is nothing worse than those pushy sales! I run away whenever I see that. Some people get it in the wrong way. When they read that their blog is a sales funnel, they feel like making money already. The value blogger is the best one who knows all the secrets of the monetization and have the proper way to do that. You can’t just fill up your blog with the ads. There are many other ways to make money. I am sure people would learn something from it. Hope you are enjoying the day. Ravi Chahar recently posted..20 Remarkable Blogging Tips And Tricks To Create The Best Blog Ever. Indeed, the value blogger is the best of all. That blogger will give others value and knows those secrets of monetization. There is nothing worse for me to go onto a blog full of ads. Things blinking in my eyes, distractions and pop ups all going on. I feel like I just walked into a three ring circus. I cannot see that blogger as serious, but one that hasn’t put the time and money into proper advertising. As our blogs are initially a sales funnel, there is that proper way to go about it.